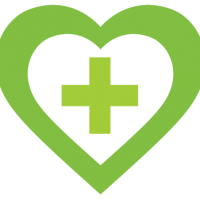 At Forcemedic, we make your well-being a priority! 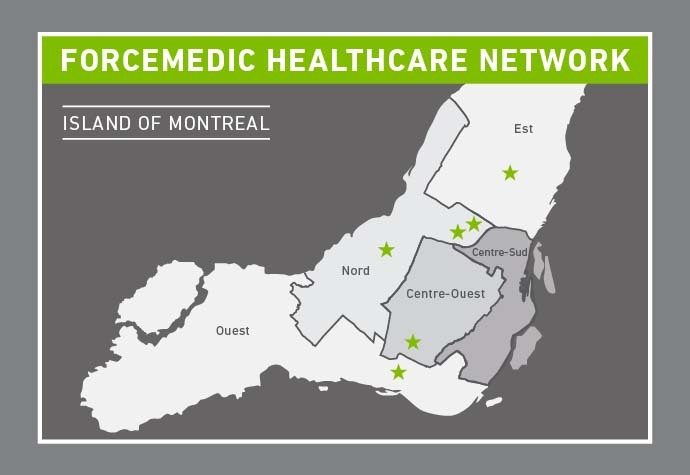 Established in 2008, Forcemedic is a network of six clinics located near you on the Island of Montreal. The strength of our network, backed by a highly diversified medical team, allows us to provide effective service. 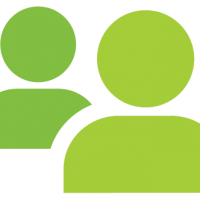 Forcemedic’s network of GMF clinics operates by appointment or on a walk-in basis and is accessible to everyone. Its general practitioners and specialists available at 6 locations provide a range of first-line medical services. Accredited GMF-R super-clinic as of June 1st, 2017, we work closely with our public partners, such as the integrated university health and social services centers (CIUSSS) and the various hospitals in our region, in order to provide increased access to care and medical information for our patients. We specialize in the area of occupational medicine and rehabilitation. Each of our establishments has an interdisciplinary or multidisciplinary rehabilitation center under one roof offering services tailored to your specific needs. In addition, a new time-saving service is now available: online physiotherapy appointment scheduling! This quick and easy option guarantees a call back and immediate treatment, thus ensuring your absolute well-being! We value customer satisfaction and our team makes it a priority to offer high-quality, diversified and professional services. 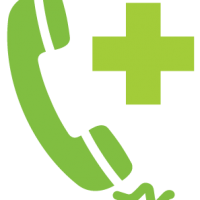 Most of our services are covered by RAMQ, the CNESST and the SAAQ, or can be reimbursed through private health insurance. Find out more by contacting our call centre at 514-787-1818. * Bonjour-santé requires the entry of the medial insurance number (RAMQ card). Patients who wish to take an appointment, but do not have this card are asked to contact the clinic directly at 514 787-1818. Our diversified team is there for you.